It's Bob Ross. 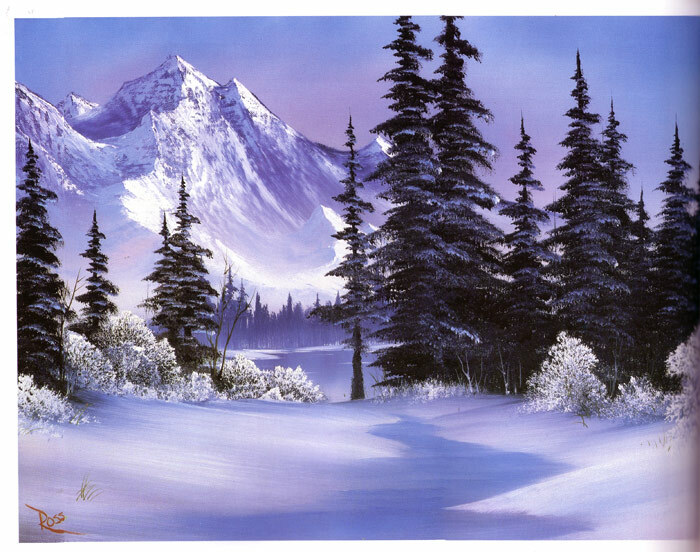 The man with the gentle voice who can paint a landscape in 30 minutes right before your eyes in your own living room. 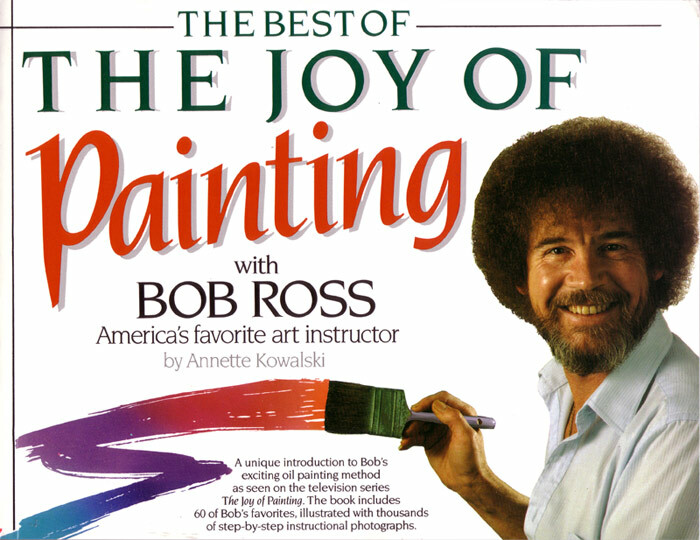 Reaching millions of homes every day, Bob Ross is unquestionably America's favorite art instructor. 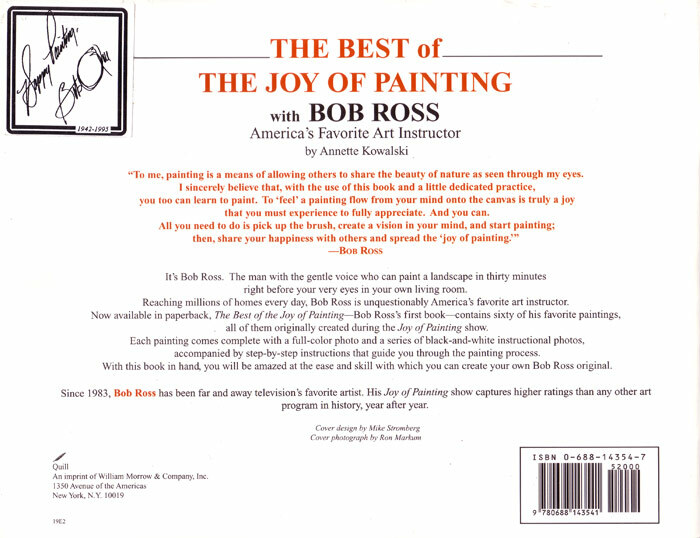 Now this paperback book - Bob's first - contains sixty of his favourite paintings, all of them originally created during the Joy of Painting show. 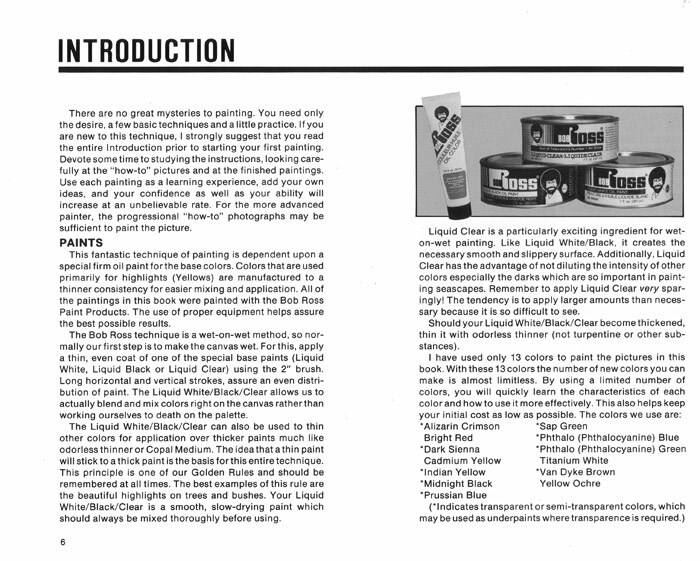 Each painting comes complete with a full colour photo and a series of black and white instructional photos, accompanied by step-by-step instructions that guide you through the painting process. 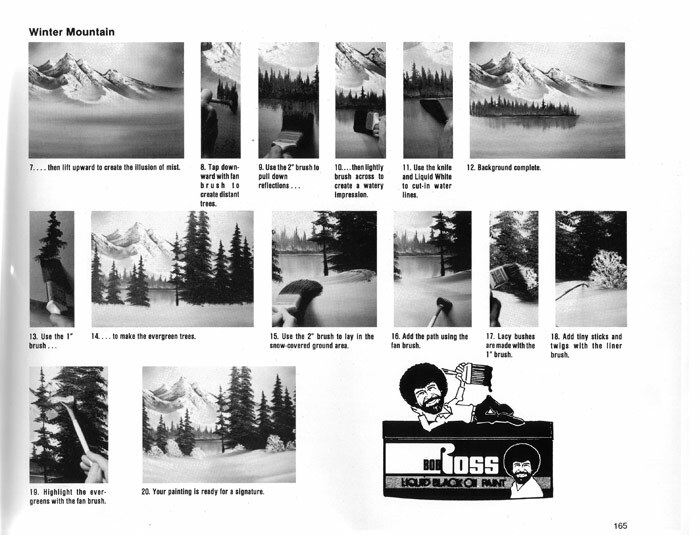 With this book in hand, you will be amazed at the ease and skill with which you can create your own Bob Ross original. "To me, painting is a means of allowing others to share the beauty of nature as seen through my eyes. I sincerely believe that, with the use of this book and a little dedicated practice, you too can learn how to paint. To 'feel' a painting flow from your mind onto the canvas is truly a joy that you must experience to fully appreciate. And you can. All you need to do is pick up a brush, create a vision in your mind, and start painting; then, share your happiness with others and spread the 'joy of painting.'" Since 1983, Bob Ross has been far and away televisions favourite artist. His Joy of Painting show captures higher ratings than any other art program in history year after year.